The website re-design and mobile optimization for Grey Bruce Cremation and Burial Services Inc. was a port job in which we took the existing content and website and converted it into something that not only looked better but that was easier for both our client and their visitors to place and leave condolences. The challenge of this WordPress project was creating an easy to use commenting system for the client in which she can approve submitted obituaries by website visitors who added their private condolences for the family. While many times when approaching a design we try to add a bit of flair to our work in order to keep the user wanting to move forward throughout the journey of the site, however, given the nature of the site we decided to go with a very subdued design that provides all of the required functionality in a way that doesn’t encumber the user with technical details or distracting calls to action. 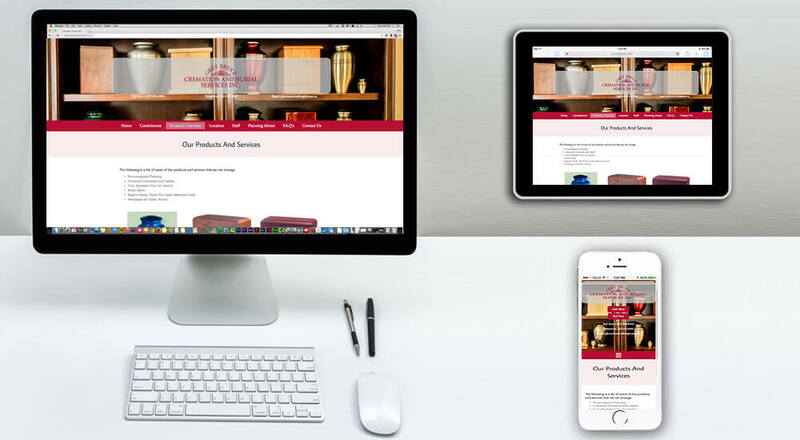 We are very proud of the job we did on this peaceful website and hope that it can help Grey Bruce Cremation and Burial Services continue to provide such a high level service to their community. I read this article and found it very interesting, thought it might be something for you. The article is called A Peaceful Obituary WordPress System and is located at https://www.gemwebb.com/burial-services-web-design/.